When two bumbling Interpol rejects accept a bodyguard job and is caught in an international conspiracy, they must team up with a trio of bounty hunters to clear their name and find the man responsible for the destruction. Leading the group is Yi San, a martial arts expert with Hallyu good looks and a moody high-schooler personality. Accompanying him is his partner Yo, a master sleuth who has a knack for finding humor in the worst type of situations. The two were released from Interpol a year ago and have been working as bodyguards for hire since. A vaguely worded job leads them to a hotel room in Incheon, South Korea, where a terrorist attack suddenly makes them seem like the culprits. With their informant dead and bounty hunters on their tail, the two have nowhere to run. The three bounty hunters chasing the Interpol duo are led by bossy heiress Cat. She has been on anti-terrorist missions since childhood, but that doesn't stop her from accessorizing and showing off some serious style. Her two accomplices are tech genius and hacker Swan and muscled fighter/group stylist/errand boy Babe. After some chasing and clearing of misunderstandings, the two groups finally decide to work together and track down Tommy, the mastermind behind it all. To catch him, the hunters will have to survive not only his destruction but their own comedically uncoordinated incompetence. Can they solve the crime of the century and still find time to collect a good bounty? Bao Bao / "Babe" / "Bobo"
Edmond Wong, the writer of Ip Man movie series, is back again with this classic Action Comedy. The production value is very high - set in Hong Kong, Korea, Thailand, Japan. 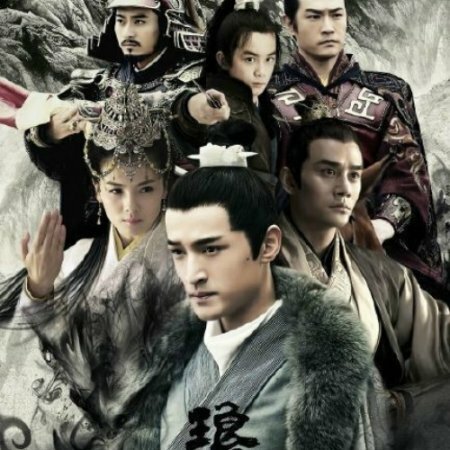 Not only because it is needed for the story, but also the fact that the movie is released as bilingual (Chinese & Korean). Ordinary Plot, but the way the script was written and screenpaly will hook the audience to the screen for the whole 2 hours. 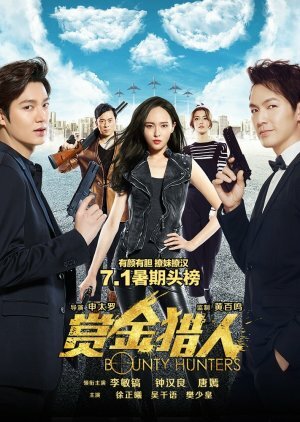 Lee Min Ho, Tiffany Tang (ACTIONS) and Wallace Chung, Louis Fan (COMEDIES) played their role to the full. Tiffany Tang's stunt is sturdy and her pair with Lee Min Ho is eye candy. Comedy - is the main reason why you must watch the movie. Starting from the opening, in equal intervals, there are scenes which makes you to burst in laugh.I think this is possible only by Hong Kong film makers. I personally feel that this is not a Lee Minho movie or Tiffany Tang movie, but it is a Edmond Wong movie. His work is astounding throughout the movie. It reminds me of the Stephen Chow movies. It is a perfect blend of Action - Comedy which is a trademark of any Hong Kong Blockbusters. A complete entertainer to watch with family. If you are in Canada, Ontario province, Toronto/nearby cities, the movie is screened in Cineplex cinemas @ Yonge Dundas from July 1. Watch it before it is stopped from screening, because, I hope you know that Asian movies hardly last 3-4 weeks, not more than that. This is a very cute, light-hearted movie. As I was in the mood for a cute, light-hearted movie, I enjoyed it. The action met my expectations, as this was projected as a spy-ish, action-heavy comedy, the stunts were spot on. The actors did a great job of mixing action and comedy, and the martial arts looked good to me. There was a lot of very cool gadgets and high-tech spy-ware and regardless, the budget seemed very high. This movie was 10/10 cinematographically, the shots were absolutely beautiful, and as it was shot in several cities, the movie turned out gorgeous. While I liked the acting, it wasn't anything extraordinary, this is still a light-hearted comedy, it's not very impactful at all and it's one of those movies that you probably won't think about for very long. 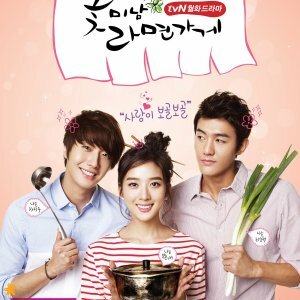 But watching it is very fun and it had some great comedy (especially if you're familiar with both Chinese and Korean culture)! On an ending note, this is a VERY re-watchable movie, and very enjoyable if you're in the mood for it.